, Pandora, HuffPost, Soundcloud and ComScore all significantly reducing their presence. Nuffnang is owned by digital marketing business Netccentric, which has just sold its 59% stake in Nuffnang Australia in a move that aims to consolidate the company’s restructure to a more “centralised strategy”. In a statement on the ASX, Netccentric CEO Desmond Kiu, said the business will now shift its focus to “alternative market segments or industries”. It's clients include Coles, Cadbury, Disney, Westfield and Samsung. AdNews understands Nuffnang will operate with skeleton staff to see out its remaining contracts. “Netccentric will continue to directly support its commercial partners and customers of Nuffnang Australia and future Australian-based opportunities,” Kiu said. Nuffnang will continue to operate in Singapore, Kuala Lumpur, Manila, Beijing, Bangkok and London. 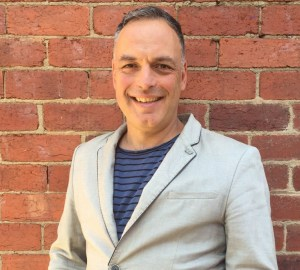 As a result, Melbourne-based influencer business Hypetap will absorb a significant portion of the Nuffnang staff, including managing director Chris Morfis, who joins as general manager. Morfis had been at Nuffnang for just over a year, replacing managing director Felicity Grey in 2016. Accentric floated on the ASX in 2015, raising $12.5 million in capital. At the time, Netccentric chairman Martyn Thomas said the IPO would allow the business to expand in new markets and also bolster offices in Australia, including opening an office in Sydney. The business did briefly open a Sydney office in 2015, however in the last year it has only had a Melbourne presence. Sources close to Nuffnang says the business has struggled to compete since the explosion of influencer businesses in Australia, which had better technology offerings. Morfis says Hypetap’s focus on data and technology was what drew him to the business. “The industry is changing. Brands are becoming more discerning as there is an increased emphasis on brand safety and transparency of data," Norfis says. "When selecting partners, brands are looking for providers that can deliver in these two areas. Hypetap is leading the industry in these aspects and I’m looking forward to being a part of it." 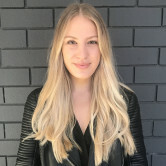 Influencer business Nuffnang is withdrawing from Australia and will close its Melbourne office next year as part of an ownership restructure. Nuffnang is the sixth global business to pull back on its Australian operations this year, with Adroll, Pandora, HuffPost, Soundcloud and ComScore all significantly reducing their presence.